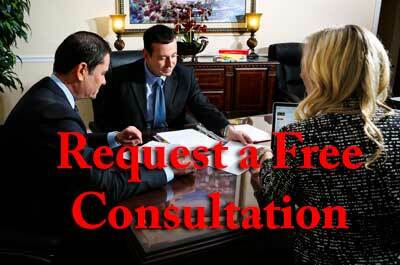 Divorce is a difficult situation for every member of a family. Children of divorced parents must deal with a lot of adjustments in their lives. For instance, a kid may have to move to a different home or attend a different school in order to live with a particular parent. In short, major changes take place in the life of a kid whose parents get divorced. Trying to understand divorce is a frustrating thing for many kids. A divorce may take place if a married couple grows apart or just can’t seem to solve their differences. Most kids whose parents get divorced start off with a lot of questions. For example, a kid may be under the impression that he or she is somehow to blame for the breakup. A kid may also wonder if anything can be done to bring his or her parents back together. It’s very important for kids to share these questions and feelings with their parents. Whether parents are married or divorced, they are still concerned with their kid’s well-being. Information for Kids about Divorce: Find articles and answers to some important questions concerning divorce. Significant Facts for Kids Regarding Divorce: Discover a great deal of information about divorce and advice on how to cope. Teenagers Dealing with Divorce: Learn about some of the normal reactions to divorce that a kid may experience. A Question and Answer Concerning Divorce: Read the thoughtful answer to a teenager’s question concerning feelings about her parent’s divorce. A Look at the Effects of Divorce: Learn some of the typical feelings and reactions associated with divorce. So many times a kid blames him or herself for the parents’ breakup. Many kids may think that if they performed better in school or behaved better at home, their parents wouldn’t have gotten divorced. Kids must always remember that they are not to blame for their parents’ divorce. Parents get divorced for reasons that involve one another and not the children. Any kid who blames him or herself for a divorce should certainly share those feelings with both mom and dad. Important Advice for Kids: Read some advice for kids to consider concerning divorce. A Child’s Feelings of Blame Regarding Divorce: Discover some feelings that a child may be experiencing when it comes to divorce. Common Behaviors of Kids Dealing with Divorce: Features some behaviors of kids who are dealing with divorce accompanied by ways parents can ease these behaviors. Reassuring Children Who Are Dealing with Divorce: Find some ways that caregivers can help kids who are coping with a divorce. This information includes reassuring kids that a divorce is not their fault. Book on Helping Kids through Divorce: Read a review and synopsis of a book that can be of help to kids dealing with a divorce. Not surprisingly, it’s hard for a kid to focus on schoolwork and grades when his or her family is dealing with a divorce. It’s helpful for kids coping with divorce to talk their feelings over with their parents, a close friend, or perhaps a counselor or a teacher. Letting a teacher know about the situation may help them to understand why a student’s grades are slipping. In fact, support and encouragement offered by teachers may go a long way to help a kid through a tough time. Articles for Kids Regarding Divorce: Find articles about divorce for kids including one that involves going back to school after summer vacation. An Explanation of Divorce: Features a look at the aspects of divorce. Facts on Divorce: Peruse general information on divorce and its effects. Reading Resources Helpful to Kids: Learn about some books for kids that deal with divorce as well as some other helpful pieces of information. List of Helpful Book Suggestions for Kids Coping with Divorce: Features a list of books concerning divorce for various ages of kids. Divorce can affect a kid’s relationships with brothers and sisters. After all, everyone reacts to divorce in his or her own way. For example, one brother may feel angry and frustrated over the situation. Alternatively, a sister may want to talk about the divorce with her siblings and ask a lot of questions. In many cases, arguments occur between siblings who are coping with a divorce situation. A Question Concerning Sibling Relationships during Divorce: Read a question about the relationship and behavior of siblings during a divorce along with its answer. Ideas for Helping Children through a Divorce: Find ten practical suggestions for helping kids cope with their parents’ divorce. Teenagers and Their Reactions to Divorce: Discover some facts on how teenagers may react to their parents’ divorce. When a kid’s parents get divorced, he or she has to readjust to a new life. A kid may be angry with one parent and blame him or her for the situation. A parent may have to move away causing a kid to feel insecure. A young person must keep in mind that everyone is readjusting to the new situation. Furthermore, it’s essential for kids to remember that they are still loved, just as much as ever, by their parents. Typical Reactions of Kids to Divorce: Find information that features different age groups of kids and their common reactions to a divorce situation. Kids Adjusting to Divorce: Read some suggestions on how to help kids cope with divorce. Tips for Parents in a Divorce Situation: A collection of advice for parents to help their children deal with a divorce. Advice for Divorced Parents Regarding Their Children: Discover some helpful information on how a parent should help a kid adjust to life after divorce. List of Kid’s Rights: Learn what is on a list of kids’ rights regarding divorce. New living conditions are generally a part of divorce. Whether it’s a kid moving to a new place or visiting a parent in a new home, there are definite changes. A kid can do a few simple things to feel at home in the places of both parents. For instance, keeping some personal items such as books, stuffed animals, or CDs in both places will help make the atmosphere more comfortable. Information for Teens Coping with Divorce: Discover a collection of information helpful to teens dealing with divorce. Adjustment to Different Living Arrangements: Read about what parents can do to make it easier on a kid to live in two different places. Helping Kids Adjust After a Divorce: Learn how changes in living arrangements and daily responsibilities can affect a child. Also included are ways to help a child adjust. Ideas for Parents to Help Kids after Divorce: Features seven helpful tips for parents on how to help their kids after a divorce. A divorce sometimes means that a kid spends a certain amount of time living in the houses of both parents. For example, a kid could spend a few weeks of winter vacation with one parent and the remainder of the school year with the other. In order to adjust to this division of time, a kid might want to plan fun activities to share with each parent. Ultimately, kids must remember to focus on making the most of their time with each parent. One Kid’s Story about Divorce and Its Effects: Learn about one boy’s experience with splitting time between each parent’s home. Dealing with Divorce: Find a list of books that a kid going through a divorce situation may find helpful. A List of Questions and Answers about Divorce: Read some answers to common questions of kids who are coping with their parents’ divorce. An Overview of Divorce: Peruse some questions and answers regarding kids and their reactions to divorce. Ideas for Improving a Divorce Situation: Features ideas for divorced mothers on how to handle the situation with their kids. Naturally, most kids have many questions when it comes to divorce. A kid may want to discuss the situation with a close friend whose parents who are divorced. The friend might have some helpful insights to share. A school counselor can also help answer a kid’s questions about divorce or just be there to listen. It’s very important for kids whose parents are getting a divorce to talk about the things that are troubling them. Kids should never be embarrassed about seeking help whenever they need it. A Helpful Group for Kids Dealing with a Divorce: Discover a group that works with kids who are dealing with a divorce. Tips for Dealing with Divorce: Find several tips for adult children dealing with a divorce. A Kid’s Support Group: Read about this support group of kids with divorced parents. Help for Kids Dealing with Divorce: Peruse this resource for kids who are dealing with or facing a divorce situation. Books about Divorce: Find a list of books about divorce written for kids of various ages. At first, a divorce can seem like an overwhelming situation to a kid. However, with the help of parents, friends, as well as loved ones a kid can move forward with his or her life.